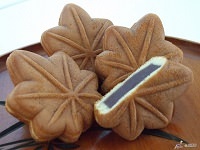 Mizu Manju is a type of Japanese confectionery made from kuzu starch and a red bean paste filling. 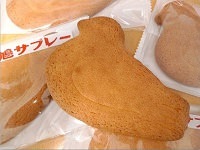 It has a clear translucent, jelly like appearance with the dark color of the red bean paste showing through. 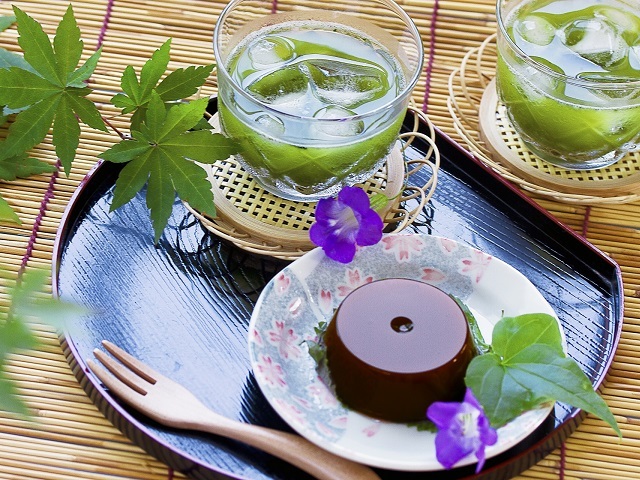 Mizu Manju is enjoyed as a delicious cold confectionery during the hot summer months and is sold in stores but can also be made at home. Kuzu starch and sugar are dissolved with water then heated to create a thicker paste like mixture. Some of the mixture is then poured into a small mold. A small amount of red bean paste is placed into the mold and covered with some more of the kuzu starch mixture. The mold is then cooled until it solidifies into a jelly like texture and served when ready. 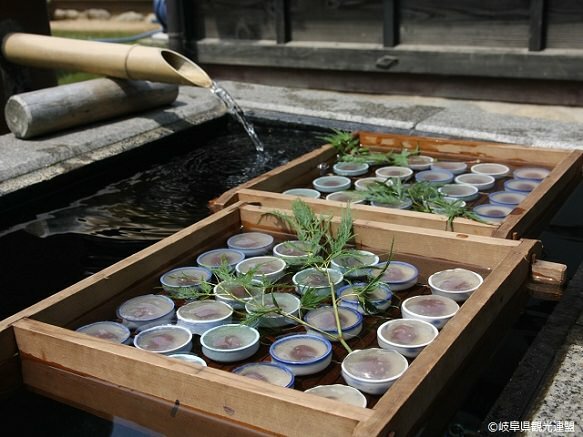 To create a truly wonderful mizu manju, clear, pure water must be used. 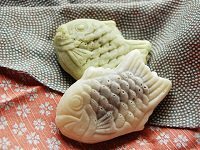 Gifu Prefecture, where the mizu manju originates, uses quality water to create the best of these beautiful translucent wagashi.